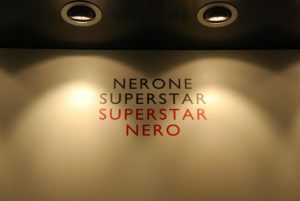 NERO coffeehouses, coasters, T shirts, sayings (“What an artist the world is losing!”), novels and movies. In fact, he seemed ubiquitous. But when I set out to make contact with actual physical traces of him, instead of modern kitsch, he was surprisingly elusive. For someone with such an outsized physical presence in life, it was as if he had vanished, leaving no footprints behind. 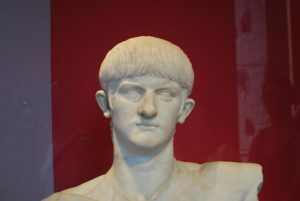 He was born at Antium, (modern Anzio). From the beginning of his reign he instigated big engineering projects and his seaside birth town was no exception. He enlarged the harbor with new breakwaters and designed an expansion of the imperial villa there., along with a public theater and gardens. But today, thanks to earthquakes and changing water level, little remains. 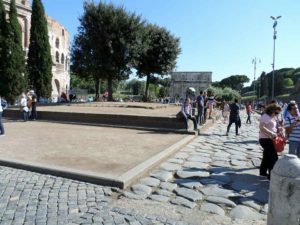 The same is true for his other ‘getaway’ villa, the Sublaqueum, built in the mountains some forty miles from Rome, below three lakes he created from damming the river above it. Today the area is called Subiaco and only ruins of the villa remain. 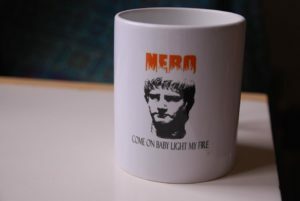 Rome did not fare much better. 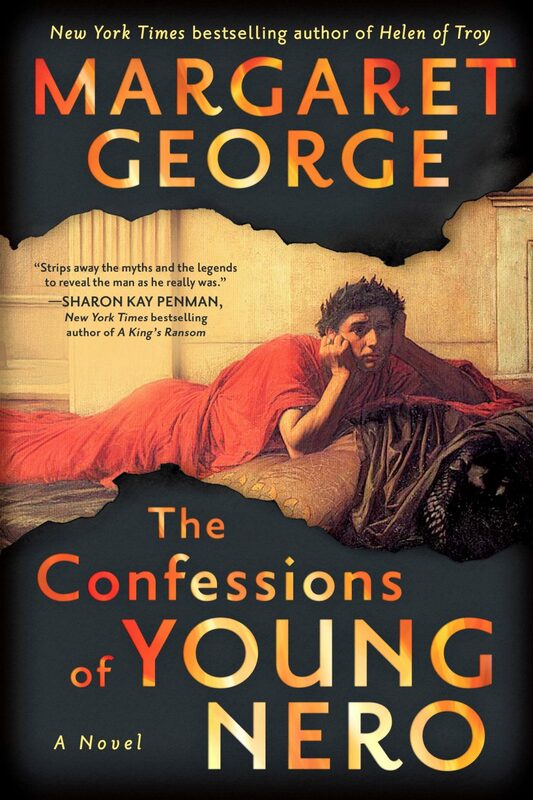 His improvements to the original Palatine palace of Tiberius and Claudius did not survive, and neither did his newly built Domus Transitoria, which perished in the Great Fire of Rome in AD 64. 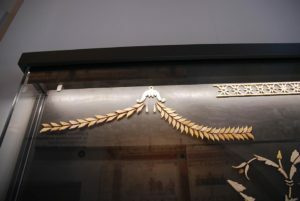 Some remains of its decoration can be seen in the Palatine museum, giving just a hint of its opulence. 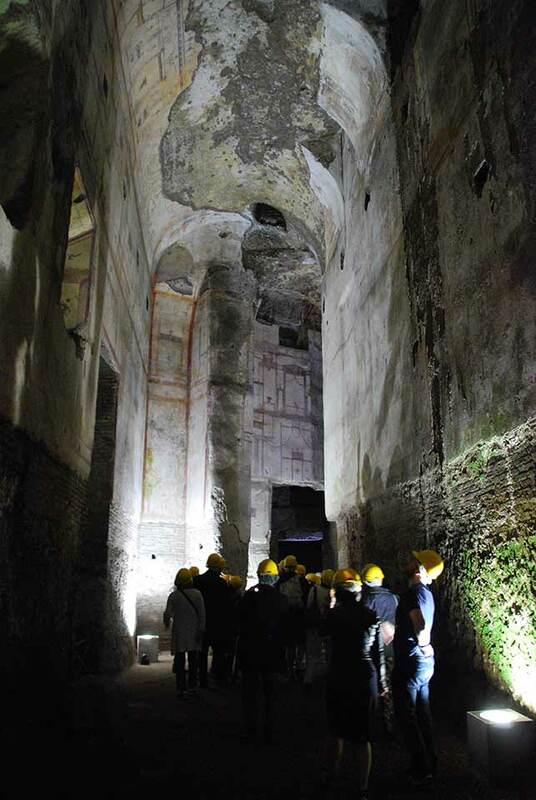 After the Fire, he constructed a gigantic complex in the very heart of Rome—a huge, architecturally revolutionary palace and pavilion he called the Domus Aurea, the Golden House. 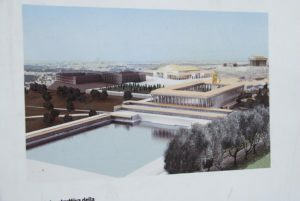 The lower part of it was situated next to an artificial lake; the upper part was on the Oppian Hill overlooking it. Alas, it did not survive very long. 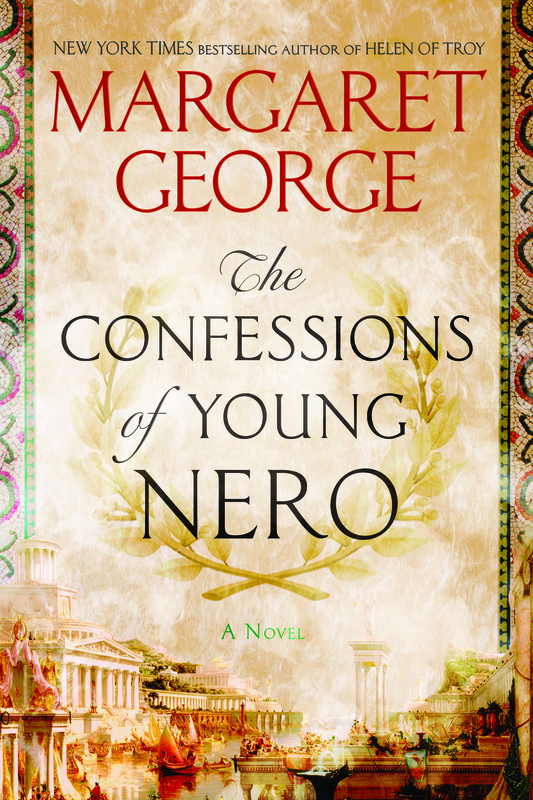 After Nero’s death, the first thing Vespasian did was fill in the lake and demolish the palace, replacing it with the Colosseum. One thing that has remained: the name ‘Colosseum.’ The Flavian Amphitheater (its proper name) got its nickname from the one hundred and twenty foot colossal statue of Nero that overlooked it. So huge was this statue it took 24 elephants to move it. 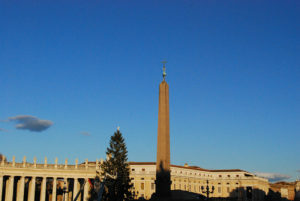 But the statue vanished sometime after AD 300 and survives only on coinage and the name. 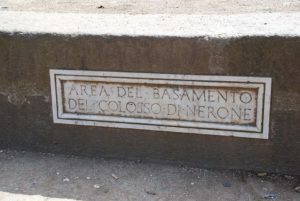 The base where the statue rested is still visible outside the Colosseum. 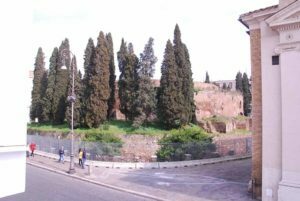 The pavilion part of the Golden House was filled in by Emperor Titus and used as a platform for his baths on the Oppian Hill. There it lay hidden underground until the 1400s, when it was accidently discovered by someone falling through the roof. 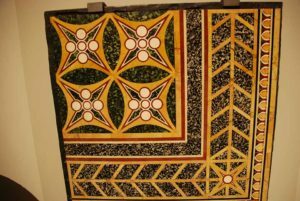 Titus had stripped it of its precious marbles and inlays but he could not remove the frescoes, and those fascinated Renaissance artists, such as Raphael, who imitated the designs in the Loggia of Pope Leo X in the Vatican. Today work is underway to restore the Golden House, with a 30 million Euro grant. It will be a big undertaking. The years of water and algae damage have taken a toll. 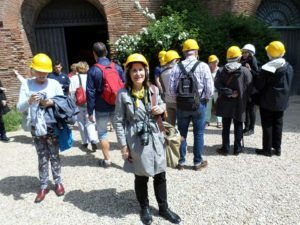 One can go into it with a special tour run by archaeologists and I was fortunate to be able to do so. But being dark and underground it is difficult to imagine what it was like when it was flooded with light and sparkling with gems. 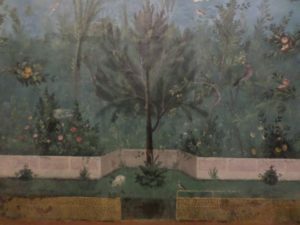 Some of the Rome of Nero’s day survives: certain buildings in the Forum, the Mauseoleum of Augustus, the Palatine Hill itself, the Pantheon, the Ara Pacis of Augustus, the obelisk that was in his private racetrack, life-like garden frescoes. 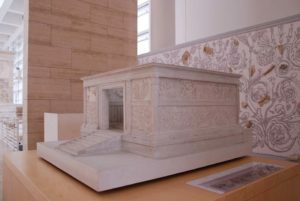 But Nero’s own family tomb does not—it was located where the Borghese Gardens are today—and neither does the Tumulus of the Julian family, where his wife Poppaea and their daughter Claudia were buried. The imperial villas, too, in Baiae have vanished. 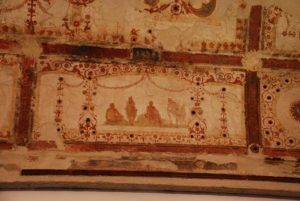 A villa in Oplontis buried in the eruption of Vesuvius, assumed to belong to Poppaea’s family, has been excavated. 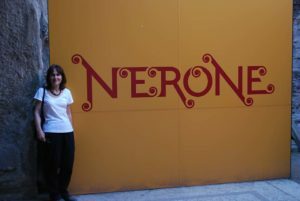 Much is known about it; I was able to visit it and that helped me to write the scenes of Nero and Poppaea there. 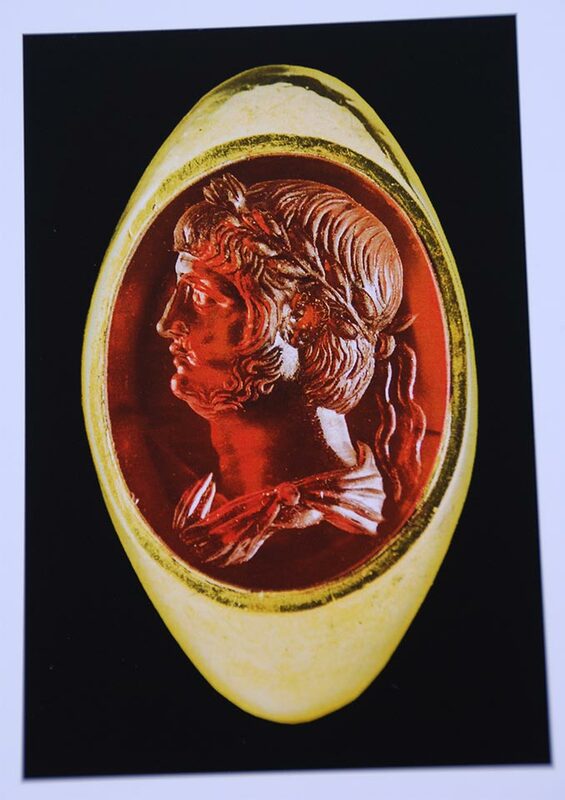 This extraordinary carved intaglio ring with his image was apparently sent as a gift to Armenia when he was concluding a peace treaty there. 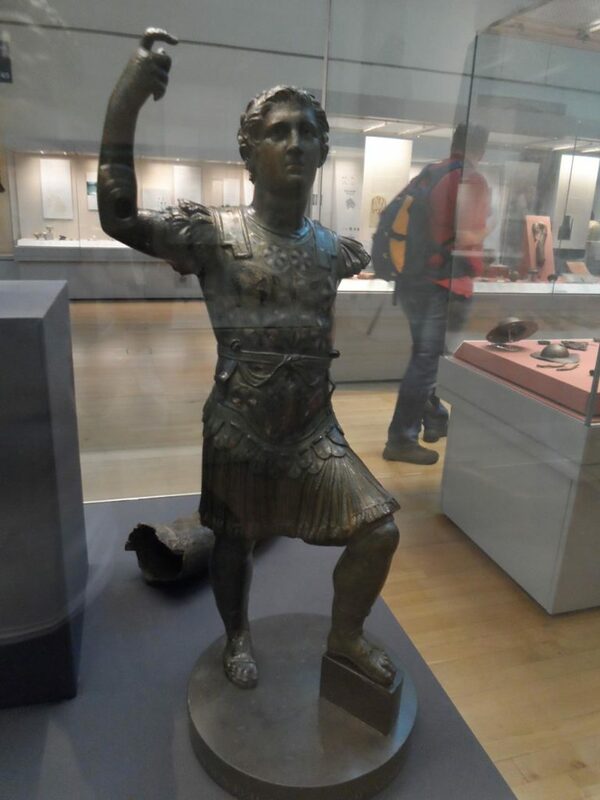 I suppose this proves that you don’t need physical proof that you have been on earth to be remembered and still have a presence two thousand years later. But, it’s been frustrating for me who likes to hold something in my hand, or touch it, or visit it! 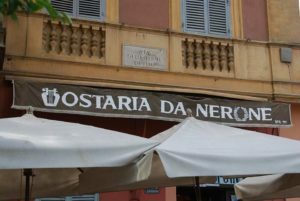 A small and bustling restaurant named after him is located a stone’s throw from the Golden House, and I like to eat there in commemoration of him.